Critical for the production of thyroid hormones, iodine facilitates the synthesis of triodothyronine, also known as (T3) and thyroxine, referred to as (T4). These hormones are necessary for the development of major organs including the brain, both in utero and in early infancy. 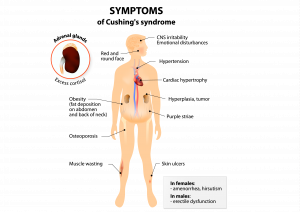 Without iodine other organs such as the heart, liver and kidneys cannot form and function correctly. Iodine deficiency is a very real threat in many parts of the world, even today. The severity of iodine deficiency, its far reach, and the medical and developmental issues it directly causes cannot be overstated, yet it is one of the easiest conditions to treat. Iodine Deficiency Disorders (IDD) are 100% preventable. Sadly, by the time a baby is born, the damage to his/her brain is permanent and irreversible. Each of these conditions (caused by low levels of iodine during pregnancy) can be prevented. In some regions of the world, thyroid cancers are more prevalent and can be directly linked to a diet, deficient in iodine. Mass cases of thyroid nodular pathology thought to be caused from thyroid nodular enlargement when iodine levels are low, were reported in Portugal and South Africa in the 1990’s. Oddly enough, the Beira Interior (BI) in Portugal and the city of Johannesburg (JHB) are both located at similar (high) elevations and are inland. Both areas demonstrated widespread thyroid issues at the same time as well. Beginning in 1995 however, mandatory salt iodization was introduced in Johannesburg that has corrected much of the deficiency problem. Today, far fewer cancerous conditions linked to iodine levels are reported. Iodine deficiency is determined through a simple urinary iodine concentration measurement. The majority of iodine ingested is excreted through the urine, making iodine testing fast and efficient. Concentration levels, based on The World Health Organization (WHO) recommendation are satisfactory above 10mg/dl. How do we absorb iodine? Generally, iodine is found in seawater and in marine plants and wildlife. The body absorbs iodine as “iodide”, through the stomach walls and the small intestine of the digestive system. How widespread is iodine deficiency? 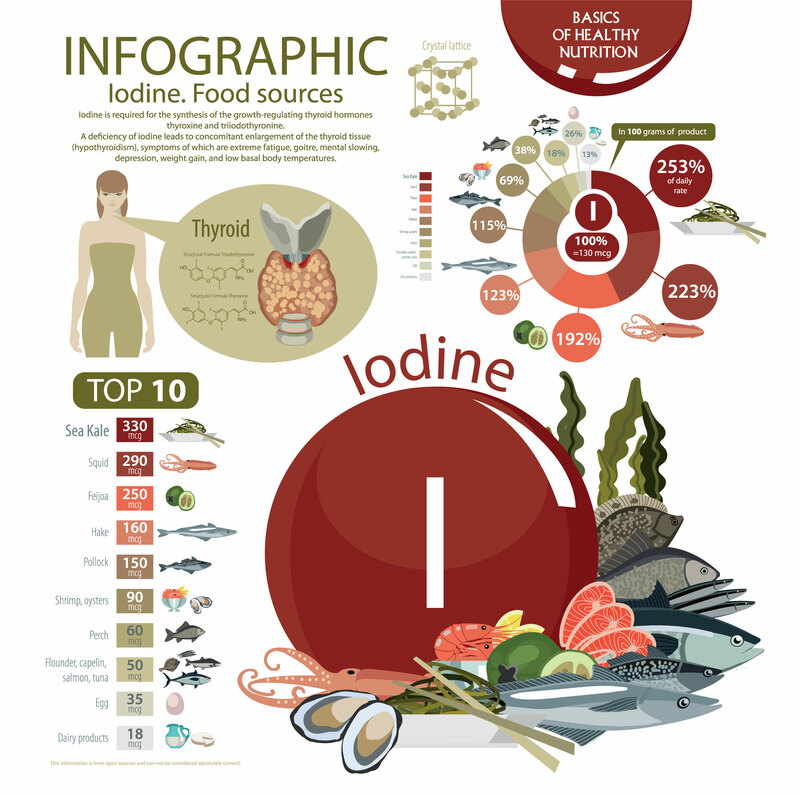 The precious trace element, iodine is cause for severe Iodine Deficiency Disorders (IDD) in more than 100 countries, and currently affects nearly 1600 million people worldwide. The majority of those affected live in developing regions including Africa, Asia, and some parts of Latin America. Cases of iodine deficiency have also been reported in some European countries as well. Iodine deficiency is responsible for the greatest number of cases of brain damage and mental retardation in the world and is 100% preventable. In regions where iodine is severely deficient, children measure an average of 12 IQ points lower than children in areas of the world where iodine is sufficient. If greater than 10% of a given population suffers with goiter because they are deficient in iodine, this is referred to as “endemic goiter”. Iodine is not a vitamin, or an element the body can naturally produce on its own. It wasn’t until 1922 that American pathologist David Marine first made the connection between thyroid function and the need for iodine. While the mineral is found organically in air, soil, and seawater, it may be scarce in some parts of the world, especially those inland from ocean water, and the seafoods that naturally contain iodine. Also known as iodide, sodium iodide, organic iodide, and potassium iodide, the mineral is vital to all mammals on the planet. Iodine fortification may be possible by consuming certain foods that contain the mineral, or are grown in mineral rich soil. The following foods support thyroid production of hormones and thyroid health. Nuts, whole grains, and omega-3 rich fatty fish support thyroid health in general. Some places, even in the United States, such as the Great Lakes Region in the north do not support iodine rich soil. Historically referred to as the “goiter belt” of the U.S. because so many people developed neck goiters in the region, supplementation is especially important for these populations. If a deficiency in iodine is the cause for hypothyroidism or goiter, adding iodine supplements to the diet can help. Some individuals may need to restrict salt intake because of other medical conditions such as obesity or high blood pressure, leaving sodium levels low. Iodine supplements can provide the thyroid necessary hormone support without dangerous consequences. If however, hypothyroidism is not directly connected to iodine deficiency, supplementing the diet with iodine will not help. Tincture of iodine, used to disinfect wounds is toxic if swallowed, but too much viable iodine in the body can be harmful as well. This can cause a goiter to form and may impair thyroid function in some cases. 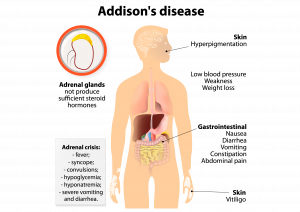 If iodine doses reach levels of 1,000 mcg per day, adverse symptoms are much more likely. During pregnancy, and while breastfeeding, women should consult their physician before consuming iodine supplements. This could result in hypothyroidism and a possible goiter in newborn infants. Foods grown at higher elevations may not meet the body’s need for iodine however, because soil in these areas does not supply adequate amounts of this vital mineral. Some foods actually provide healthy nutrients to the body, but inhibit the uptake of iodine in the body. These vegetables contain substances known as glucosinolates (thiogluosides). Eating too much of these foods could contribute to iodine deficiencies and eventually cause neck goiters to occur because the thyroid gland must work harder to produce necessary hormones. This stress on the gland often leads to swelling at first. While Iodine can actually kill bacteria, fungus, and microorganisms such as amoebas, more research is needed to substantiate claims of effective treatment for ulcers, pain, soreness, gum infections and surgery related infections. Not all experts agree on some of the healing properties attributed to iodine for non-thyroid conditions, and government/university-backed clinical studies are limited at this time. The body requires iodine because certain functions carried out by the thyroid could not happen without it. Iodine is needed for the thyroid to produce two important hormones, thyroxine (T4) and triiodothyronine (T3). These thyroid hormones help regulate metabolic activity, synthesize proteins, and manage enzyme activity. In unborn babies, and young infants, iodine is also necessary to help skeletal formation and central nervous system development. 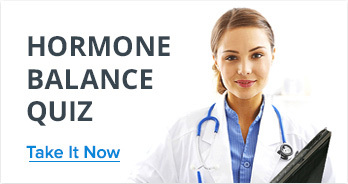 Thyroid stimulating hormone (TSH) from the pituitary gland, increases the thyroid’s uptake of iodine and stimulates the production and secretion of T3 and T4 hormones. Without sufficient iodine, the thyroid works overtime as it attempts to capture as much circulating iodine as possible for hormone production. Healthy levels of iodine are about 100-199 mcg/L in non- pregnant adults. Values below 20 mcg may indicate iodine deficiency (though some government agencies consider 10 mcg the cutoff). While iodine deficiency disorders (IDD) have all but been eliminated in the United States because of iodized salt, recent surveys indicate that the percentage of Americans with low urinary iodine levels has increased since the 1970’s. This may be attributed to changes in overall food production in the past 50 years. Currently, about 120 countries have programs in place that ensure food products are fortified with iodine as part of the manufacturing process. The majority of iodine deficient areas are located in mountainous regions, inland, or in places subject to flooding, since iodine gets washed away when erosion occurs. Soils around the world contain varying levels of iodine that affect the iodine content of the crops they support as well. In many countries, because iodine is not present in the soil, the government may offer an iodization program to help residents. Despite serious measures to improve the situation, some regions of the world are still iodine deficient. In some areas, where iodized salt is not available, annual doses of iodine are administered through a nationwide injection program. How is iodine deficiency identified? Iodine is measured using simple median urinary iodine concentration tests. When should I limit iodine? Sometimes it is critical to limit the amount of iodine your body takes in. 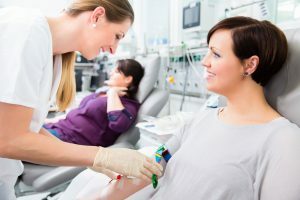 When preparing for a test or medical treatment that involves radioactive iodine, your doctor may advise you to follow a low iodine diet for the preceding two weeks leading up to the procedure. On the day of the test, iodine levels will be low in the body, stimulating the thyroid gland’s need for the mineral. When the test or treatment is administered, the thyroid will take up more iodine where it is needed, assisting in more effective treatment and accurate testing. While iodine deficiency and iodine deficiency disorders remain a serious worldwide health problem, public education, inexpensive iodized salt, and more readily available sea-based nutrition have all contributed to a reduction in iodine related conditions overall. 12019, https://www.ncbi.nlm.nih.gov/pmc/articles/PMC4504064/figure/Fig3/. Accessed 10 Feb 2019. 22019, https://www.ncbi.nlm.nih.gov/pmc/articles/PMC4049553/. Accessed 10 Feb 2019. 32019, https://www.ncbi.nlm.nih.gov/pmc/articles/PMC3074887/. Accessed 10 Feb 2019. 42019, https://www.ncbi.nlm.nih.gov/pmc/articles/PMC3976240/. Accessed 10 Feb 2019. 6″Endocrine Surgery – Thyroid Nodules”. Endocrinesurgery.Ucsf.Edu, 2019, https://endocrinesurgery.ucsf.edu/conditions–procedures/thyroid-nodules.aspx. 7″Iodine”. Linus Pauling Institute, 2019, https://lpi.oregonstate.edu/mic/minerals/iodine. 8″Iodine – Health Encyclopedia – University Of Rochester Medical Center”. Urmc.Rochester.Edu, 2019, https://www.urmc.rochester.edu/encyclopedia/content.aspx?contenttypeid=19&contentid=Iodine. 9″Iodine: Medlineplus Supplements”. Medlineplus.Gov, 2019, https://medlineplus.gov/druginfo/natural/35.html. 10″Office Of Dietary Supplements – Iodine”. Ods.Od.Nih.Gov, 2019, https://ods.od.nih.gov/factsheets/Iodine-HealthProfessional/. 11″Products – Health E Stats – Iodine Levels In The United States, 2000″. Cdc.Gov, 2019, https://www.cdc.gov/nchs/data/hestat/iodine.htm. 12Kapil, Umesh. “Health Consequences Of Iodine Deficiency”. Pubmed Central (PMC), 2019, https://www.ncbi.nlm.nih.gov/pmc/articles/PMC3074887/. The Dangers of Diabetes, Different Types, How it’s Diagnosed, Who’s at Risk? ← The Dangers of Diabetes, Different Types, How it’s Diagnosed, Who’s at Risk?